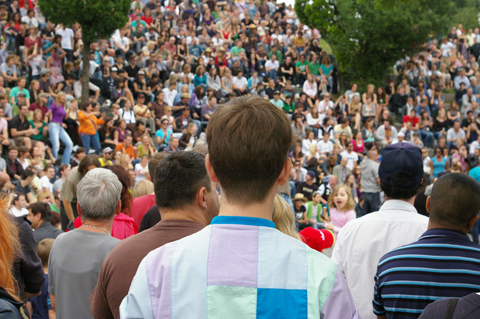 ﻿ Amelia's Magazine | Film Preview: Mauerpark, the documentary. Film Preview: Mauerpark, the documentary. Save Green Spaces from the onslaught of Private Development. The short documentary Mauerpark examines the importance of saving an open free space in the place where the Wall once stood. Emily Whitebread interviews Francesca Weber-Newth and Sally Mumby-Croft about their recently completed short documentary film: Mauerpark. 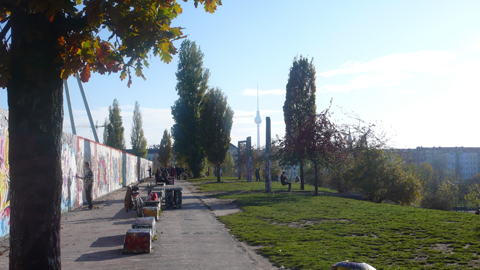 Mauerpark [‘Wall Park’] lies on the former ‘no man’s land’, visit this site which separated Berlin for 27 years. After reunification in 1989 and the fall of The Wall, information pills the area was designated as a public space – hence ‘Wall Park’. Now a private developer intends to build housing on the fallow land, treat which lies at the periphery of the park. The plans are hotly debated, with citizen action groups arguing that building development would damage the unique atmosphere of the park. The film documents the current politics of this “people’s park” and asks individuals why the park is such an important ‘free’ urban space. 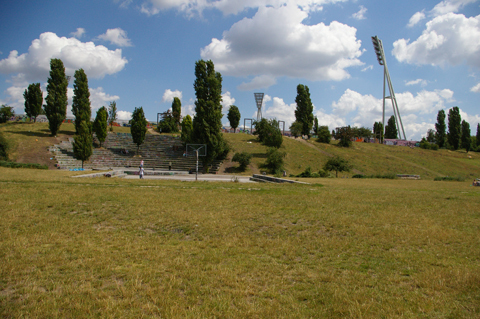 There are similarities between Mauerpark and the development of green spaces for the 2012 Olympics in London. Mauerpark, as a short documentary, allows the architect, politicians and concerned groups, to voice their opinions. The park’s architect, Professor Gustav Lange, explains his original concept and his views on its present use. In March Mauerpark was screened in Berlin, with most of the interviewees present. The short documentary was also screened as part of a regeneration symposium at Goldsmiths College, London and as part of the exhibition Silent City. What was the response to your depiction of the park by those viewing the documentary? Fran: In Berlin the interviewees enjoyed seeing the park from mine and Sally’s perspective. 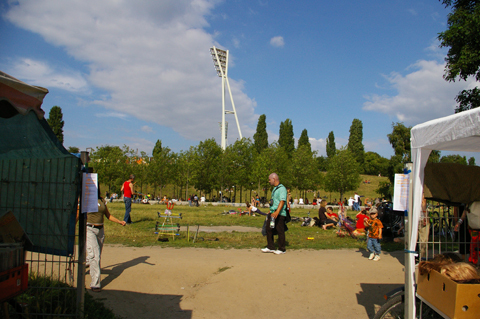 The film gave those with different visions for the future of Mauerpark, a chance to see the common ground which they all share – to see themselves as part of a larger group. At the Goldsmiths screening, those debating the Olympics, and its effects on Hackney, were thrilled that citizen groups in Berlin are so active. They drew comparisons between London and Berlin in terms of urban development and the potential for citizen activism to affect the look and use of city space. Fran was interning in Berlin while researching for her undergraduate dissertation when a friend recommended her to buy a bicycle from the flea market in Mauerpark. “After that first visit, I was obsessed.” Seven months visiting the park culminated in this collaboration. Sally, as a non-Berliner, what was your immediate feeling when entering the park? Sally: Straight away I felt a sense of the place’s importance – not only in terms of historical memory but in the day to day activities of the local communities. 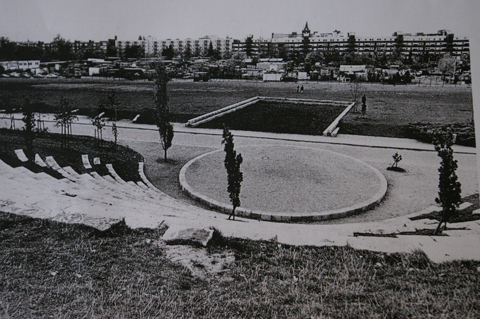 There are two sections of the park though which are strikingly different – the side designed by Prof. Lange, and the fenced-off side in private ownership which prevents easy access for the residents into the park on their doorstep. Many Berliners strongly feel that The Wall is still a presence even though it has physically been removed, when crossing from East to West they still feel The Wall is there. Did you experience this during filming? Sally: The feeling is inescapable. 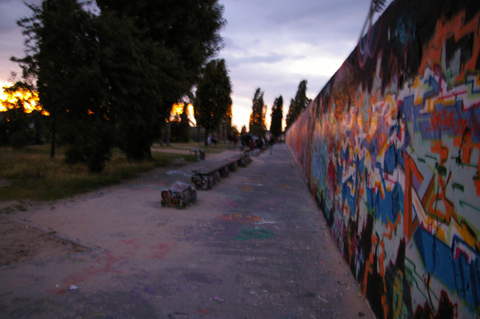 Mauerpark is one of the final spaces where The Wall stood that has not been built on or turned into a tourist trap. Using Bernd Krüger’s collection of before, and after, the fall of The Wall photographs in the documentary intensified this. Did you think that Professor Lange’s vision for the park is in tune today with those who use the space? Fran: How a park should look is strongly felt in Germany where there is tradition that ‘a park’, as constructed by landscape architects, generally has rigorous structure and regulation. Prof. Lange broke with this cliché. He saw the space as a burst balloon; a pressure zone that was now open. People were excited by the park but his deliberately planned sparseness scared them a little. However, it is precisely this openness, and lack of formal structure, that has become not just accepted, but also cherished by many users. Not everyone is happy with the park as it. People come to the space with very different notions of what ‘recreation’ is. Stereotypically the elderly want comfort, families want peace and quiet, and youngsters want to socialize. To create a park that meets the needs of all these different user groups and that references the historical importance of the space, is a difficult task! 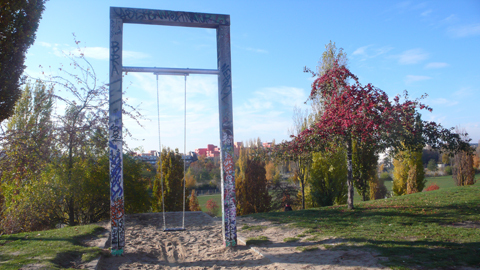 What was your reaction to the view that there are no historical reference points to the Berlin Wall in the park? Fran: The issue of history, politics and memory is contentious. People’s experiences of divided Berlin will shape their ideas as to whether it should be remembered, and how this remembrance might look. ‘Historical reference’ can sometimes be taken too literally. The tourist looking for the site of The Wall can find it at the Bernauer Strasse memorial site/museum. 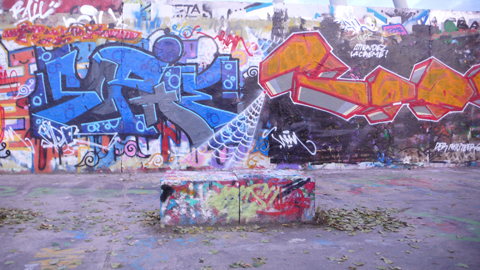 Mauerpark’s shape – a thin strip with a central, cobbled path, provides the clues to its history. Many appreciate Prof. Lange’s subtle historical references whilst valuing the park’s potential to provide a social arena for people to make new connections that override the divided history. 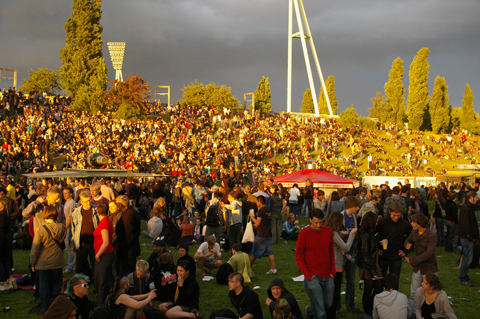 If you could influence the fate of the Mauerpark what would you like to see? Sally: I would love to see Mauerpark completed with open access on all sides. Fran: My ideal would be for the developers to donate the fallow land to the City and fund the creation of a clean and safe public area. Mauerpark documents a place that is capable of healing wounds and bringing together people who were once separated. The fate of the park is currently undecided, with debates continuing as to the shape and scale of building development on the fallow land. With government officials, developers and local people in deep discussion for indefinite periods, this rings familiar alarm bells.